The Joie Crosster Pushchair is an adaptable, versatile and very capable pushchair that can take your baby from birth all the way up to 25kg. 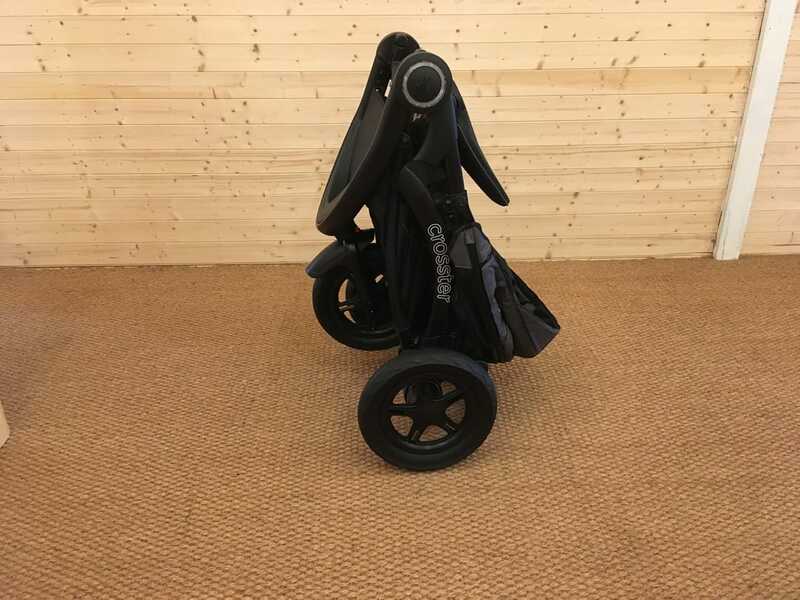 It handles itself well over multiple terrain types while also managing to look stylish at the same time. 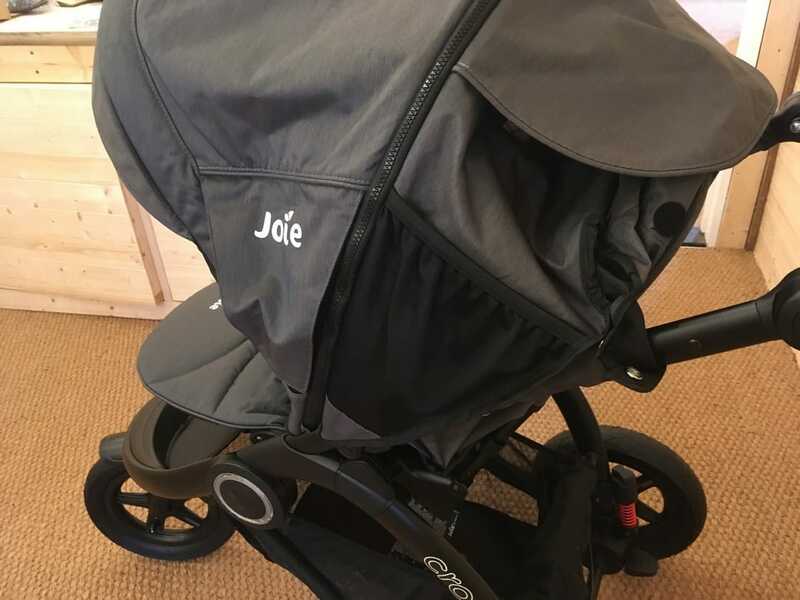 Compatibility with the Joie Gemm and Joie i-Gemm Car Seats provide additional configuration options, while the height adjustable handle means you can make your Joie Crosster Pushchair the perfect fit for you. The fold process of the Joie Crosster Pushchair is very quick and very simple. It can be completed with one hand which is particularly useful if you have a very young child who still needs to be held while you get ready for your travels. 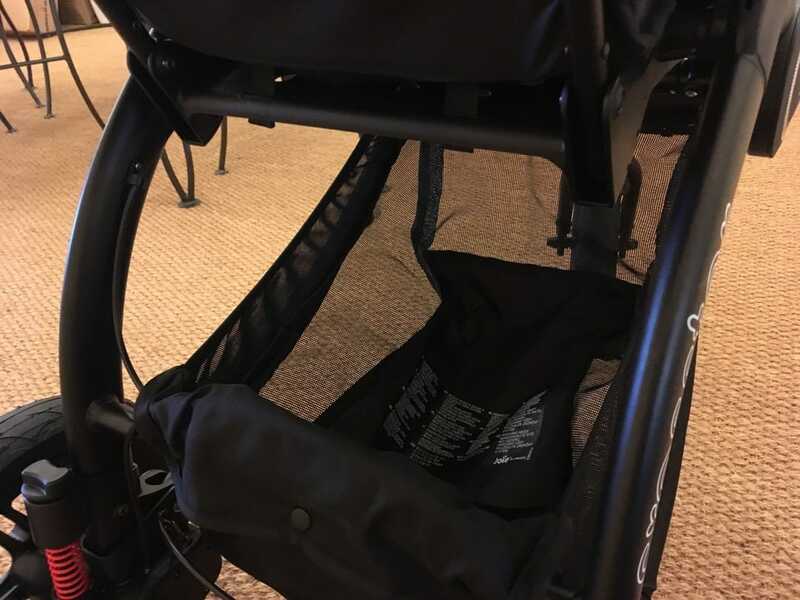 Under the leg rest you will find the folding system. One quick movement and your Joie Crosster Pushchair folds and stands perfectly in this position. The seat of the Joie Crosster Pushchair has multiple recline positions. This allows you to find the perfect position for your baby. 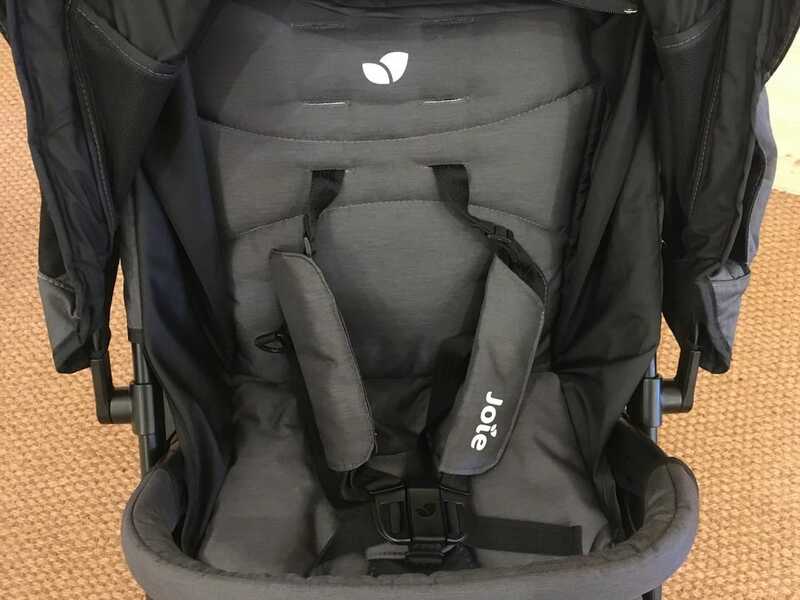 There is a removable bumper bar which gives your baby something to hold on to but also gives you the option to remove this for easy access in and out of the seat. 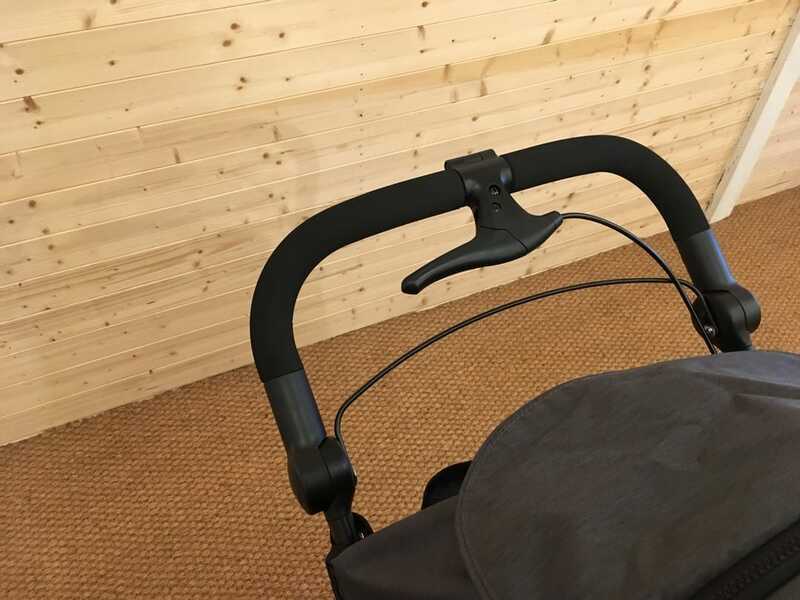 Your baby is kept safe and secure thanks to the 5 point safety harness and the under seat shopping basket adds practicality to the Joie Crosster Pushchair. 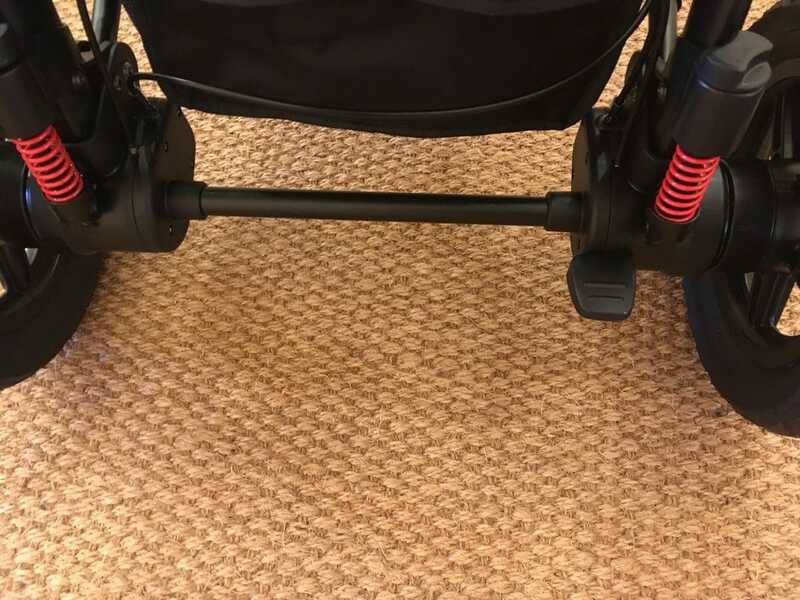 One of our favourite features of the Joie Crosster Pushchair is the manually adjustable rear suspension system. This allows you to find the ultimate level of smoothness and comfort while travelling on any terrain. 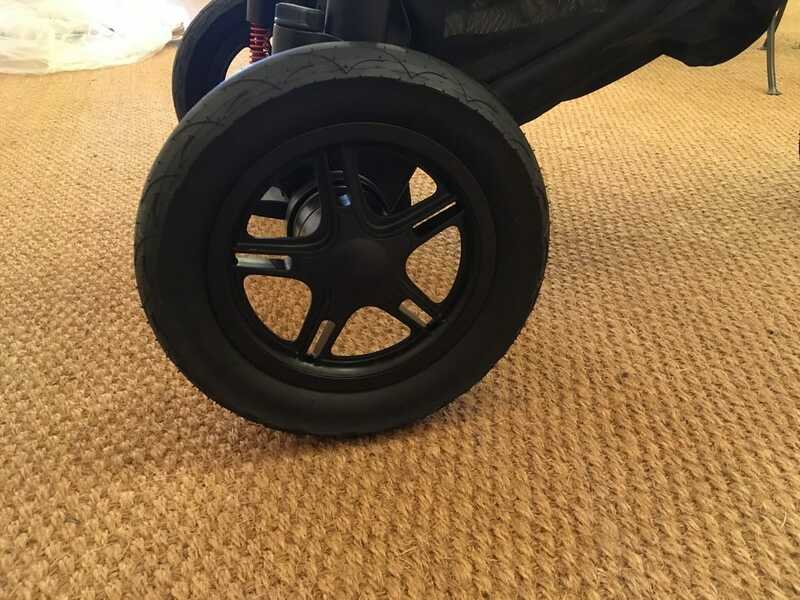 All 3 wheels have 12 inch foam filled tyres which add to the Crosster’s ability to navigate tougher terrain. 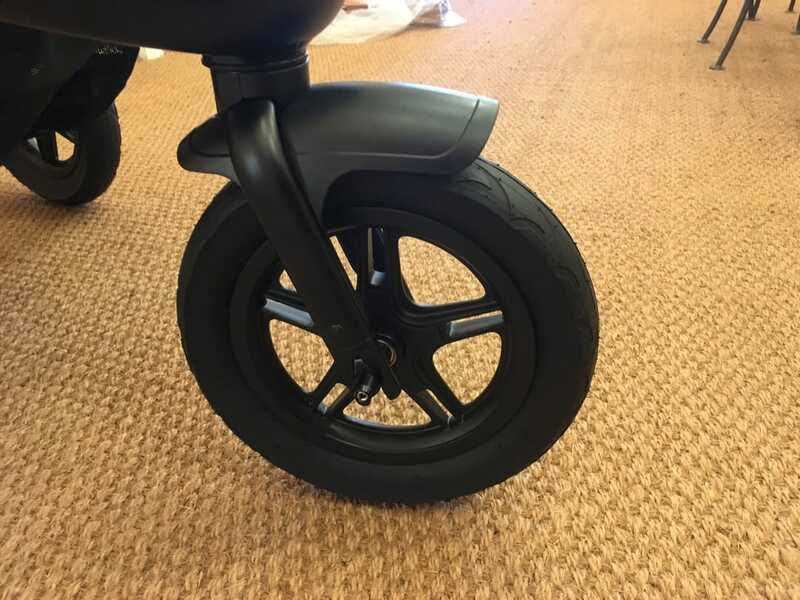 The front wheel swivels for increased manoeuvrability but you can lock this if you want more control. 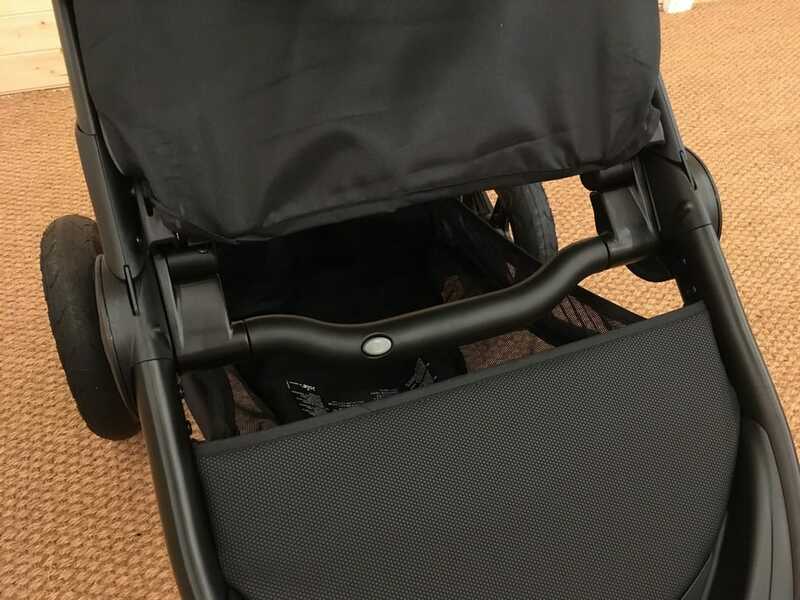 The hood of the Joie Crosster Pushchair is fully adjustable, oversized and provides UPF 50+ protection. It allows for ventilation to ensure comfortable air circulation. There is also a window to help you keep an eye on your baby on the move. One feature of the hood that adds additional practicality are the two pockets on the sides. They are perfect size for a drinks bottle or even more essentials that you want close to hand. 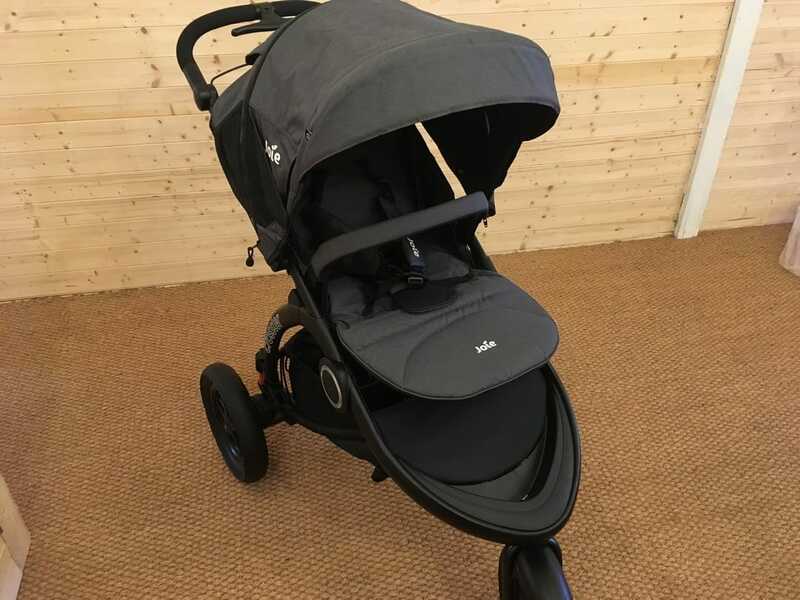 Joie Crosster Pushchair features a hand operated brake. This is very convenient as slowing down is literally at your fingertips! There is also a foot operated parking brake for when you need your pushchair to come to a complete and secure stop. The Joie Crosster Pushchair is a highly versatile and durable pushchair. 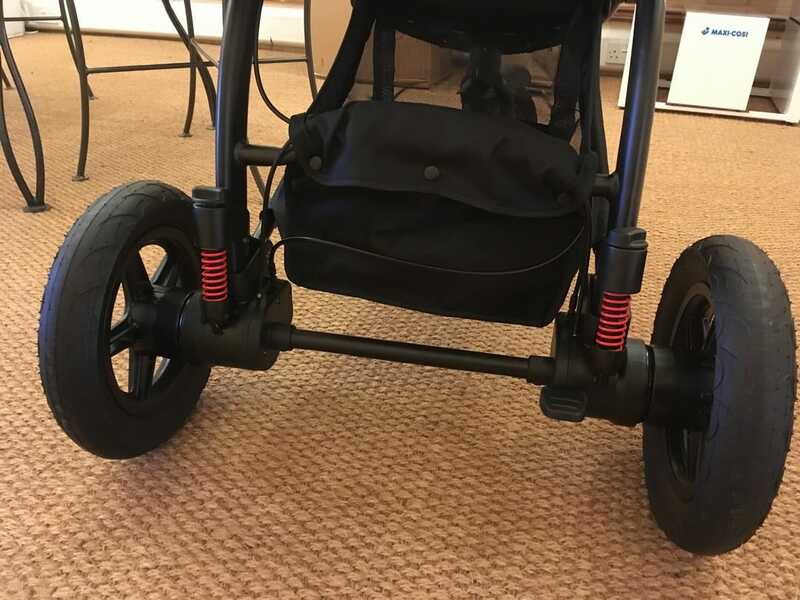 From its manually adjustable rear suspension to the removable bumper bar; Joie have tried to cover all angles of what a parent would want in a pushchair. 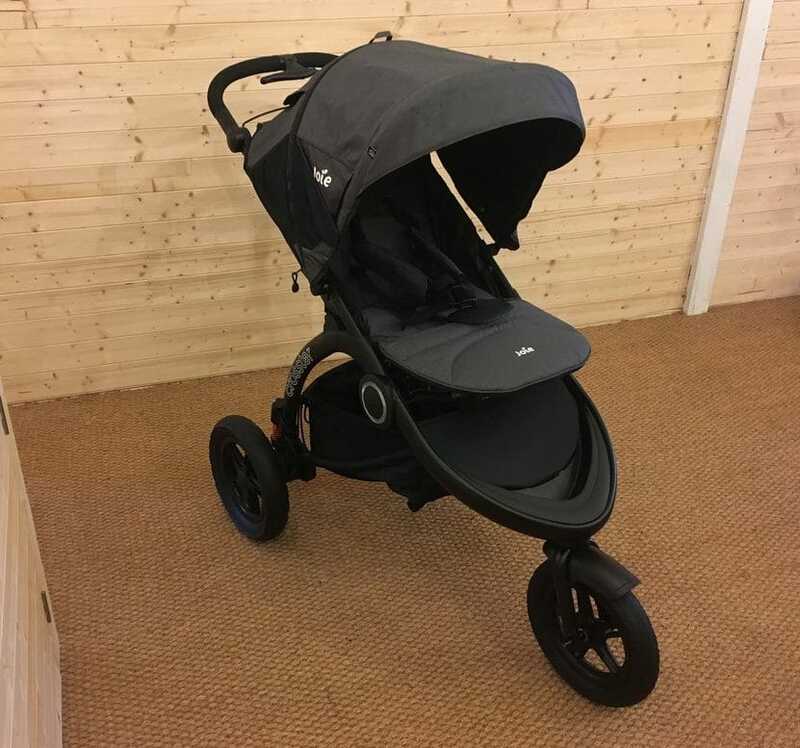 We think they have succeeded as the Joie Crosster Pushchair was everything we wanted and a little bit more!